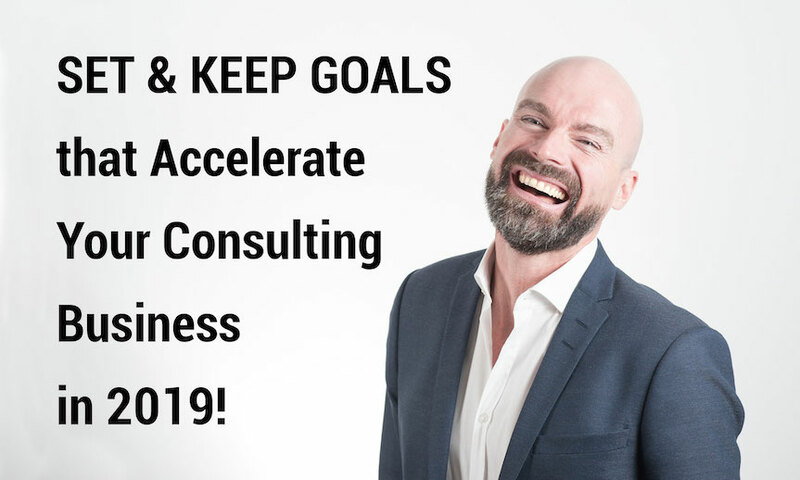 Free Webinar: SET & ATTAIN GOALS that Accelerate Your Consulting Business in 2019! You did it! Your consulting business is running and maybe even running great. But you know that there’s always a next big milestone to hit if you want to grow and keep things fresh. How can you set ambitious goals while keeping your current clients happy and continuing to secure more? And more important, make those goals a reality! In this fast-paced webinar, two veteran consultants (with over four decades of business success) will help you build an action plan that will let you integrate your plans to both sustain your business and stand out in a competitive marketplace. Join us and begin to put legs under those dreams of yours. 92% of people abandon their new year goals. Nearly 1/3 of them in the first two weeks. Why? They don't take action! Don't let your business dreams become a similar casualty. Join us and start taking action. Your future is calling! Susan Schaefer and Don Tebbe, between them, have over four decades of success building and leading thriving consulting businesses. And they’ve led workshops for hundreds of consultants across the country. Susan founded her fundraising consultancy, Resource Partners, LLC, in 2001. Since then, she has been on a mission to help other budding consultants bypass the pitfalls of this career path and get on a fast track to success. Susan co-edited The Nonprofit Consulting Playbook. Don (dontebbe.com) started his first consulting practice in 1993 after two decades of leadership positions in government, business, and the nonprofit sector. Later, he and a partner co-founded a firm that they built into a seven-figure national practice. He launched his third -- “encore career” -- practice in 2013. Susan and Don created their partnership in 2015 to help others find the sense of independence, meaning and financial rewards that a consulting business can make possible. Their signature workshop, which they’ve delivered nationwide to stellar reviews, has now become GoingSoloGoingBig.com – an information-rich website, a growing collection of online training programs and a support community dedicated to helping professionals launch successful consulting businesses and keep them flying high.